Deciding to make an employee change can be challenging and stressful for many orthodontists, but having the wrong team member in a practice can be expensive and costly to the team's work environment. The right team member, on the other hand, will pay you back in team productivity and successful employee/employer relationships. During my 25 years in the orthodontic field, I've had the opportunity to see some amazing team members, as well as some amazingly awful team members. It never ceases to amaze me when I see how much team members think they can get away with and what their doctors allow. Two of my favorite sayings for doctors who talk to me about problem employees are, "What you don't address, you condone" and, "You're only as strong as your weakest link." Stop condoning and start documenting. If you have time to work up to a termination date, this will help your practice in the event you need to prove the reason behind the termination. Talk to a lawyer or human resource company. If you need some advice as far as state laws for terminating are concerned, spend the money—especially if an employee is older, has been with the practice more than 10 years, or is pregnant or disabled. Plan a replacement strategy. Determine how the exiting team member's role will be filled; plan when to start looking for your next dream team hire; reflect on what went wrong with the current team member's hire and employment history. This will help you to not repeat the same mistake again. Terminate in a quick and precise manner. If you're going to let an employee go, it should be quick and to the point. There's no need for discussion or questions; this can only get you into trouble and make a hard situation even harder. (It also often presents the opportunity for you to say something you may later regret.) A good termination should be as quick as letting the employee know her position is terminated, asking for keys and business property, handing her a live paycheck and escorting her to the door. 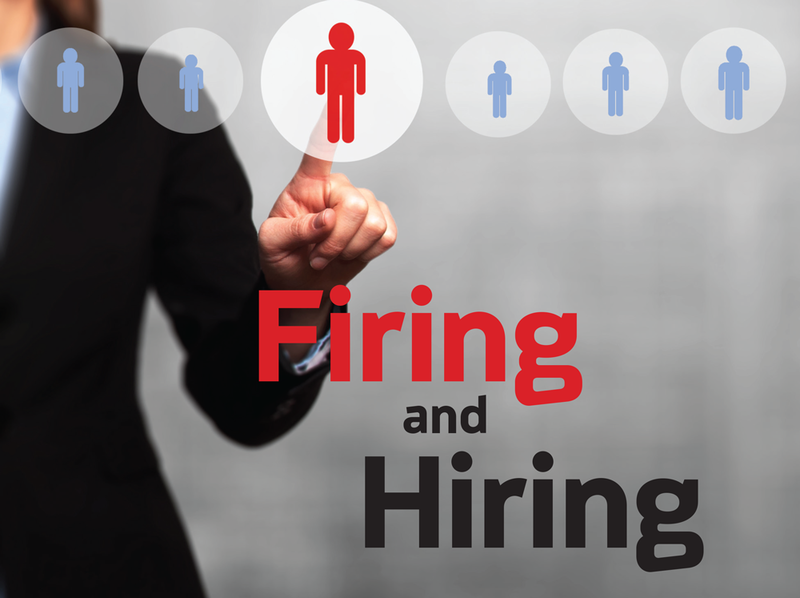 Once you've decided to terminate an employee, let's talk about your employee replacement strategy. If you do it right, hiring the right team member will enhance your team's work environment and will pay you back in higher morale and productivity. This is not a comprehensive guide to hiring, but these are the key steps I suggest for hiring your next team member. Review information about the job duties, responsibilities, necessary skills and personality traits you'll be hiring for. I find that many times, as practices grow and change, so do the duties of the positions within the practice. So, take the time to reassess the job duties and make sure they are current for your current business model. Also, determine the pay and hours of the position. A well-scripted ad will get the attention of potential new team members. Be specific with your job requirements, personality requests, and anything specific to your office such as traveling or weekend hours. It's also important to put a range for salary or hourly wages; this will help with employees who have filters when they are searching. Depending on where your practice is located, there may be one source that is better than another, but I like to stick with the online job resources such as Orthotown, Indeed, Craigslist or some of the state-specific dental job sites. Now the fun begins! To determine which applicants are worth your time, I suggest doctors rank them by a 1/2/3 process. If a candidate is worthy of a #1, it means she ranks high with most or all the qualifications you were looking for from your Position Analysis. A #2 candidate has most of the qualifications, but doesn't look as good as a #1. A #3 is an applicant that matches one or two of the qualifications, but may be worth a phone call interview to rule them out. Second, become a social media lurker: You often can find out a lot about potential candidates if you check out their social media sites such as Facebook, Instagram or Twitter. After some research there, a #1 or #2 candidate could become a #3. Once you've ranked your applicants, it's time to start prescreening the applications with résumé scrutiny, then setting up phone interviews. Some of the items I look for in résumé screening are gaps in employment; spelling or grammatical errors, and résumés that are punctuation-challenged. With all the electronic communication that's required of our employees, attention to detail such as appropriate grammar, spelling and punctuation set a candidate aside from the pack for me. Failure to shine in these details on a résumé is a red flag and shouldn't be overlooked. I also look for words missing in sentences that a quick proofreading would have caught. Finally, I look for cut-and-paste errors—the ones where an applicant has applied with another company and left the name of the company, the job title or the salutation on the cover letter. While candidates may look good on paper, a prescreening phone interview will tell you a lot about their personality and phone presence, and if they could be a fit for the position. Additionally, in a prescreening interview, you can determine whether their salary expectations are congruent with the job position. A good telephone interview can help you obtain evidence about whether the applicant may fit well within your practice and is worthy of a formal interview. Prescreening is done and you have a handful of candidates you feel could be great fits for the office—what now? If your practice is large enough, I suggest doing a hiring party—pick one night of the week for a group interview, and enlist the team members who'll be helping you make decisions about the hire. I usually suggest from 6 to 8 p.m. after work one night, because this tends to help with getting working applicants scheduled for a group interview. Start by buying your hiring committee dinner—pizza or something similarly easy—set up three to four interview stations and give everyone a role. I suggest a social position, a cognitive or clinical test position, an interview with doctor or practice manager station, and an interview with a team lead of the position they'll be working in or with. Once the applicants start showing up to the hiring party, evaluate everything from the minute they show up. Did they show up early or late, did they no-call no-show? How do they look: club or business attire? Are they put together and ready, or worn-out and tired? Finally, look at shoes and nails and hair; this will be a representation of you and your practice image. After the hiring party, the team should gather to compare notes and give their honest observations of each candidate. This lets the doctor or practice manager determine if they want to extend a working interview or move right into a verbal or written job offer. When all goes well, the result of the job offer process is a new dream team member who's excited to join your practice, looking forward to making contributions and getting to know team members, and forging a relationship that will last for years. Time to celebrate! Now you and your team can celebrate the successful recruitment and hiring of a qualified person whose employment they're excited to welcome onto the team. 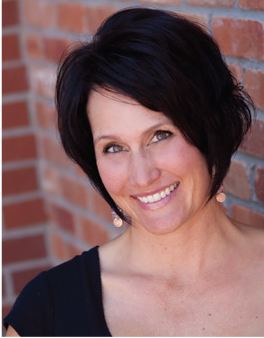 Jill Allen, owner of Jill Allen & Associates, is an orthodontic practice management consultant who focuses on startup practices and doctors who have been in business for eight years or less. Allen believes in a practical approach to practice management and has more than 25 years of experience in the orthodontic industry, working with clients all over the United States. Information: practiceresults.com.